When Sally Potter isn’t singing or playing the banjo, or leading community singing or teaching Social Studies and Personal Finance courses at Waverly High School, she's busy coordinating this festival so a couple of thousand folks can sing, too. 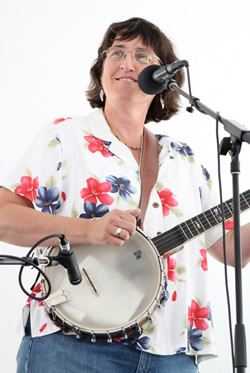 From 1988-2001, Sally was a member of the popular folk trio, Second Opinion. In 2005, Sally reunited with long-time musical partner Pat Madden to record a CD, "it's about time". Sally also leads monthly community sings at The Allen Market Place (The AMP), leads the Ten Pound Fiddle's annual Holiday Sing, coordinates the Sunday afternoon Community Sing at the Wheatland Music Festival and currently, is the concert booking agent for the Ten Pound Fiddle Concert and Dance Series. Roxanne Frith is a long-standing member of the art and photography community in Lansing and currently teaches photography at Lansing Community College and works as a full-time photographer in Lansing. She photographs people, in forms ranging from self-portraiture to social documentation, from snapshots to formal studies. Her work reflects an earnest and sincere commitment to people and the importance of community. This is Roxanne’s 16th year as Festival Photogragher. Kate Peterson has been part of the festival team since the 2004. Over the years she has designed the festival programs, flyers, and this website. She is also responsible for the Ten Pound Fiddle website and promotional materials. Equal parts left-brain and right-brain, she is also one half of the pleasantly aggressive folk duo, Nervous But Excited. 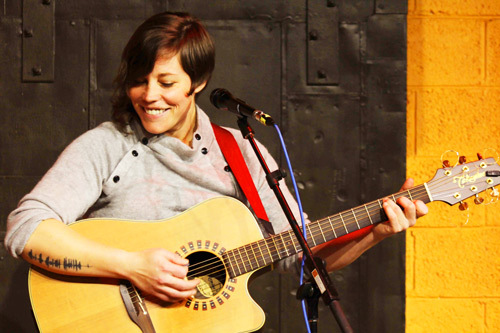 Kate spent over 8 years touring, and has released ten recording projects. She is now performing regionally as a solo artist. When she’s not playing all that music, she’s happy to lend a little bit of her nerdy side to the Singing Festival! If you want to know more about kate’s music, or pick up a cd, see www.katepeterson.com. Or have a look at www.pleasantlyprogressivedesign.com if you would like to poke at her graphical side. Barb Morris was a working artist who lived in the Lansing area from the early 70s until 2007. In her time here, she helped start three Lansing galleries: Two Doors Down, 1984 and Otherwise Gallery. Though she passed away this past year, we celebrate her, her brilliant art work, and her spirit of community, which will live on through the Festival's program and banners and continue to grace the festival stage. Hanno Meingast is the sound engineer for the Festival's evening Sings in the Hannah Theatre. A mainstay in the folk and dance community, Hanno lends his old-time fiddle to both bands the Pretty Shaky String band and The Java Junkies, playing at dances and festivals throughout the midwest. As a sound engineer, he has worked for the Creole Gallery, The Ten Pound Fiddle Coffeehouse, Goldenrod Music productions, The Chicago Folk Festival, Sugar Hill and many other music and dance events. By day, Hanno is a master carpenter. 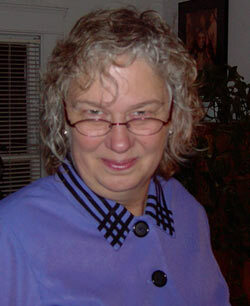 Bonnie Sumbler puts her creative mind in overdrive as a video editor and videographer. Her projects range from documenting the Mid-Winter Singing Festival to national training videos on adoption related issues. She also shares her film talents teaching classes through LCC's Digital Media Audio and Cinema program (DMAC). She is extremely community-minded, having served on numerous boards in East Lansing and Old Town. She's excited to use her experience and talents to document the singing festival. If you see a tall, smiling woman with a splash of purple in her hair with a video camera, it's Bonnie.